I read Treasure Island!!! on Mount Desert Island. Good stuff. 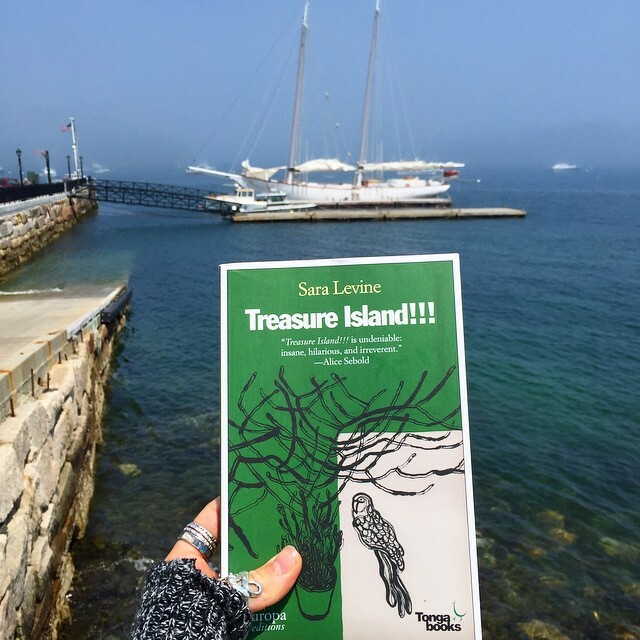 There’s a reason for the three exclamation points, and the reason is this: TREASURE ISLAND!!! Isn’t Robert Lewis Stevenson’s magnificent nautical jaunt simply the best story of adventure, the best test of character, ever told? You bet your scurvy soul it is. The heroine narrator of Sara Levine’s absurdly funny, wonderfully glib novel agrees. When she reads Treasure Island, she realizes that her 25 years of unfulfilling jobs and subdued interactions have been a waste of her potential. She should be more like Jim Hawkins, swept out amongst rogues into a world of adventure! She should face all the little problems in her uncomfortably comfortable middle-class existence with seafaring spirit! She should read Treasure Island over and over, making notes on index cards, and refusing to speak about anything else! She should acquire a parrot! Alas, in the real world there aren’t ample opportunities for 19th century style horn-blowing. Boldness often comes across as a blatant disregard for good manners. And it’s hard to be independent when you’ve gracelessly quit your job at the Pet Library, after abandoning your post and stealing your boss’s money to buy a parrot, and must move back home with your well-meaning parents. The narrator’s new found zeal for Stevenson’s adventure story borders on religious fervor. Even while it destroys her relationship with a good-natured young man, threatens her friendships, and sets the course for a full scale mental breakdown, she cannot give up her obsession with living a boy-hero’s life; a life undaunted by any obstacle between herself and complete freedom. There’s a twisted good time to be found in Oh No She Didn’t type stories. And in Treasure Island!! !, the answer is always OH YES SHE DID! Every action, from a conversation at the breakfast table to an awkward moment at the local sandwich shop, seems to ring with the exclamation marks that feature in the novel’s title. !!! Because how could anything not be an adventure once you’re seeing life through a veil of gunpowder, hearing dialogue from inside an apple barrel, and treating your childhood home like the decks of the Hispaniola? I worry about how much I related to the increasingly disturbed main character in Sara Levine’s farcical novel. I know she’s a complete wreck; out of touch with reality, a terrible friend, a total drag on her family. The Core Values don’t get her very far. In fact, her attempts at fearlessness render her incapable of even scraping by on her own. But the way her hapless story is told, with a narrative that is peppered with misused nautical terminology and no self-awareness whatsoever, absolutely cracked me up. It’s the sort of tale that encourages you to laugh at the main character rather than with her. 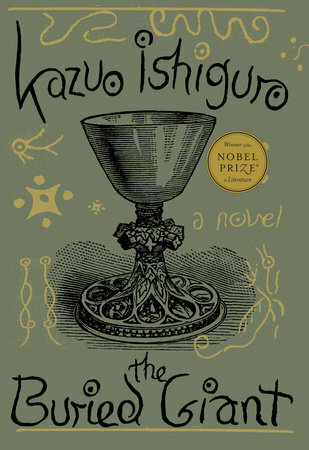 And, yes, it’s very much the sort of novel I want to write, right up there with Daniel Handler’s We Are Pirates. It’s damned hard to be a buccaneer in this day and age. I just hope I never end up at an intervention with the wrong kind of pie, faced by concerned loved ones who think I’ve grown addicted to a library book.